Beyer Garratt No. NG143, built in 1958 was the last steam engine built in Manchester and the last engine of the Beyer Garratt type to be constructed by the original British firm of Beyer, Peacock & Company. 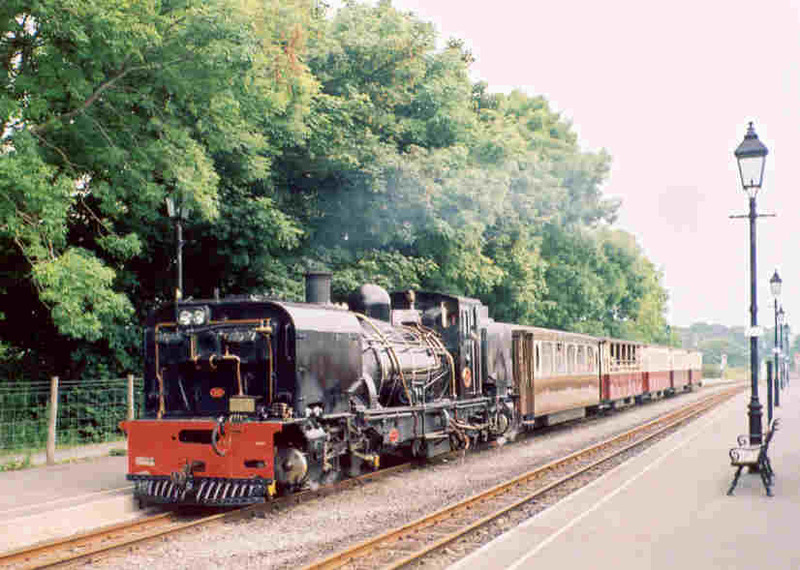 It is seen at Dinas in 2003 en route to Waunfawr. 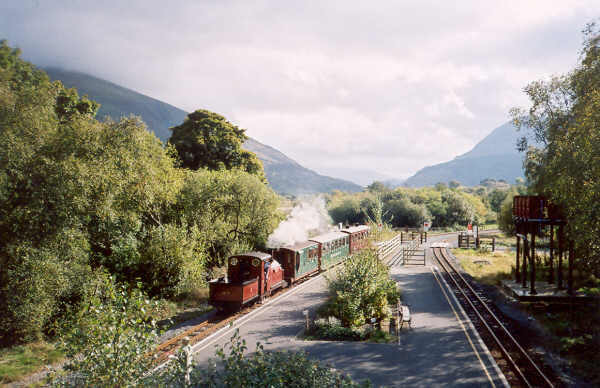 The world famous Ffestiniog and Welsh Highland Railways are currently celebrating the reopening of the final section of the first half of the Welsh Highland line, which will eventually run 25 miles from Caernarfon to Porthmadog. 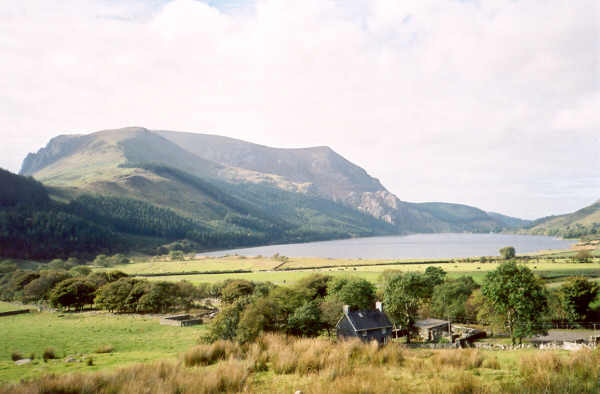 The current six-mile section from Waunfawr to Rhyd Ddu is mostly in the Snowdonia National Park and contains superb views that are not easily seen from the public roads. 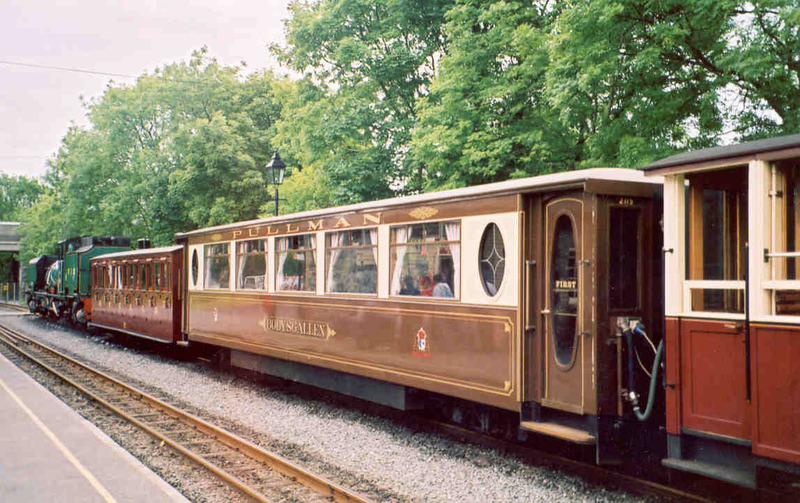 This superbly luxurious first class Pullman Car is sponsored by Bodysgallen Hall Hotel and is the comfortable way to see Snowdonia. The nostalgic heritage way to visit the mountains is in this traditional three coach train hauled by Prince. Prince is the world's oldest narrow gauge steam engine built 140 years ago in 1863. 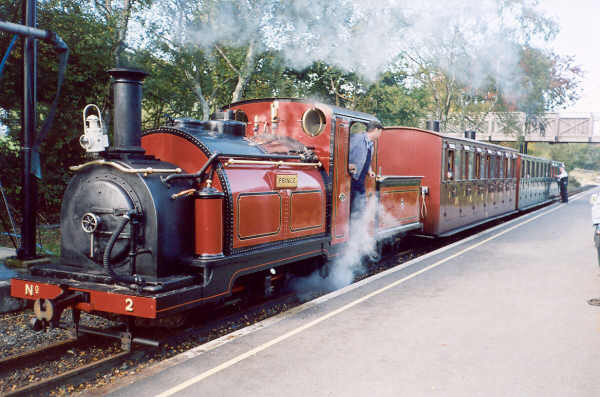 This was the engine that HRH Prince Charles drove from Snowdon Ranger to Rhyd Ddu. For the first 4 miles from Waunfawr to the Snowdon Ranger Station he travelled in the coach behind the engine, a 2003 replica of North Wales Narrow Gauge Railways Carriage No. 24. 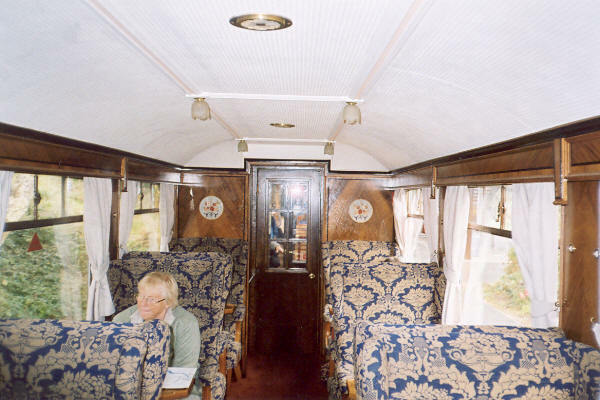 Travel in this coach with its cramped compartments and wooden seats is not quite as comfortable as in the Pullman but, although the coach is a replica, the nostalgia is real! So people say! Replica NWNGR Coach No. 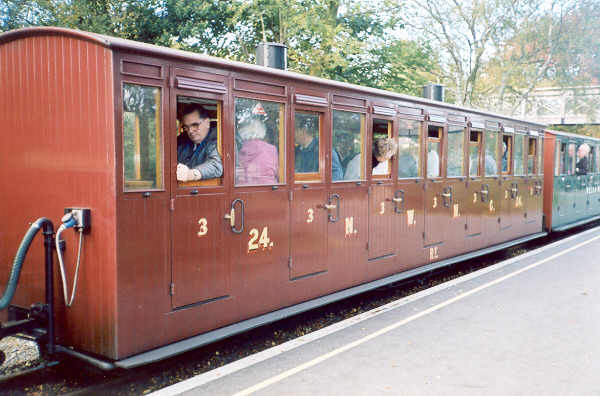 24 at Waunfawr, en route to Rhyd Ddu in September 2003. 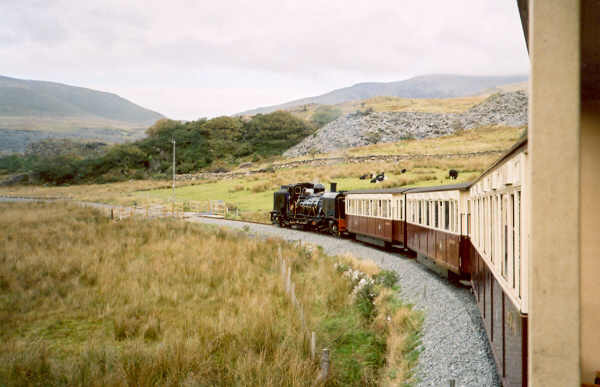 Prince and train arriving at Waunfawr from Rhyd Ddu, the three coaches are FR No. 10, NWNGR (replica) No. 24 and WHR ex NWNGR original (but much rebuilt) No. 23. This trainset hauled by Prince is very like a photograph of the first train on the WHR in 1923 - that 3 coach (all Ffestiniog Railway) train of 1923 (also hauled by Prince) was very similar to this train of 2003, also operated by the Ffestiniog Railway Company.